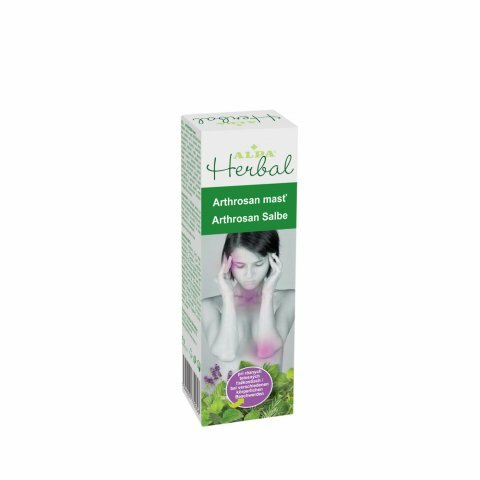 The active substances of the ARTHROSAN ointment ensuring its effects are menthol, camphor and herbal essential oils (knee timber, rosemary, lavender, eucalypt, cloves, peppermint and cinnamon) in ointment base with bee wax. The optimal composition of the ointment of high-quality raw materials provides positive effects in case of acute and chronic rheumatic pains, pains and inflammations of muscles, tendons and joints, hipster lumbago, sciatica and spinal pains. 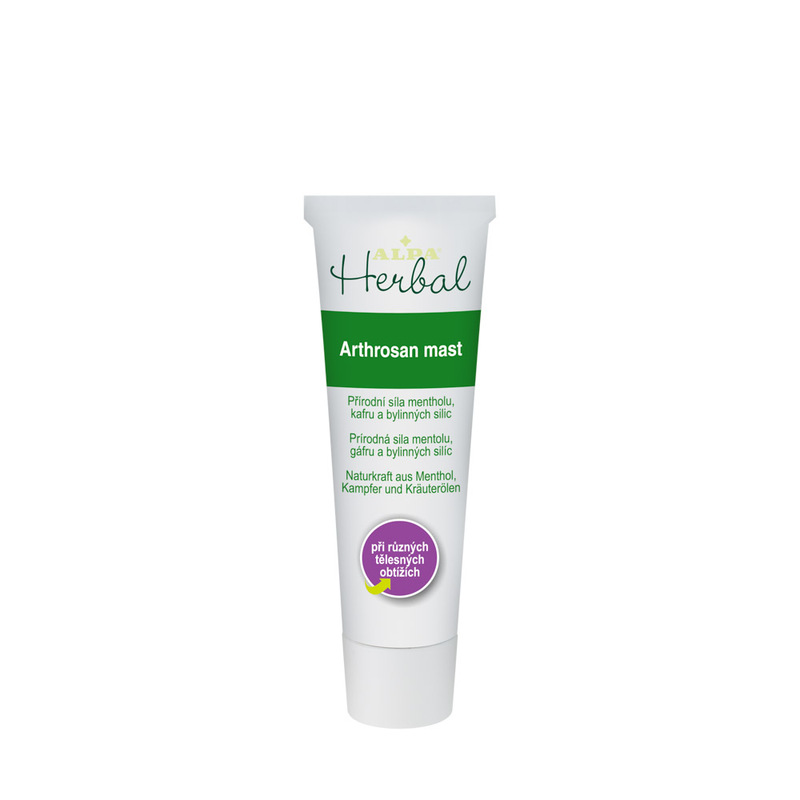 The ARTHROSAN ointment has very positive affects at headaches, running nose and diseases of the upper respiratory tract (runny nose, cold, inflammations of nasal cavities). In case of these problems it is possible to use the ointment for inhalations.